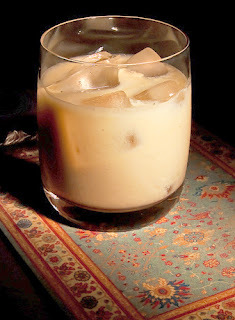 Many online coffee liqueur recipes, although very good I'm sure, take two weeks to mature. That's a bit of a wait, especially if you want it the same day. So here's my recipe for same-day coffee liqueur. It's extremely simple, and will yield a more than palatable result. Of course, it's always better after a few days if you can wait. The following recipe takes the best of several recipes to make something that hopefully you will find rivals the commercially available quaffs, at a fraction of the cost. As always, the better your ingredients the better the result. Make sure you choose a coffee that you enjoy, and that it's freshly ground. Same day if possible. You never know how long pre-ground coffees have sat on the shelf. French Roast is very "coffee" flavoured, but other will work as well. They all will result in a different liqueur. When French roasting coffee, the oils rise to the surface, and the sugars inside caramelize, giving you a bittersweet tone and almost no acidity at all. 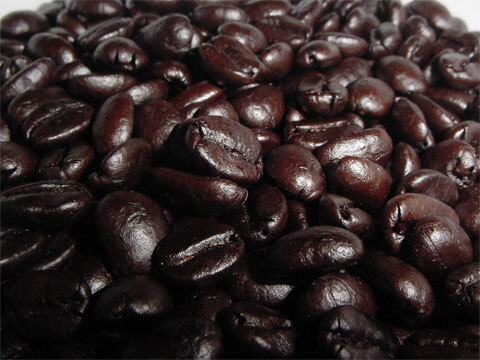 French roast beans are very dark and glisten. 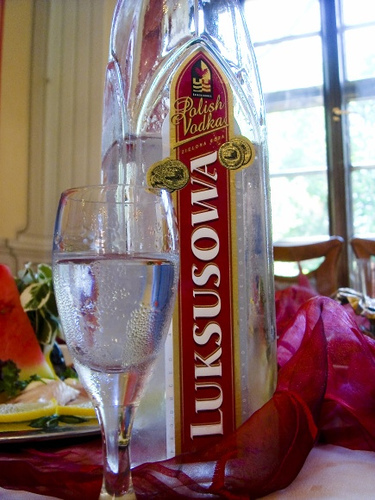 Potatoes produce a smoother vodka than its grain counterparts which are distilled from corn, wheat, or rye. 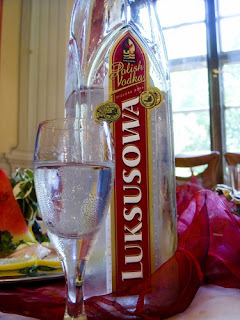 If you don't like vodka as a rule, try some potato vodka, just chilled from the freezer. It's completely different. Strain the grounds and cardamom from the liquid, put back in the saucepan and add the sugar. Heat until the sugar is completely dissolved. This is your infused syrup. This will make about 1.5 L of coffee liqueur, at about 20% alcohol. More than enough for drinks in the evening. 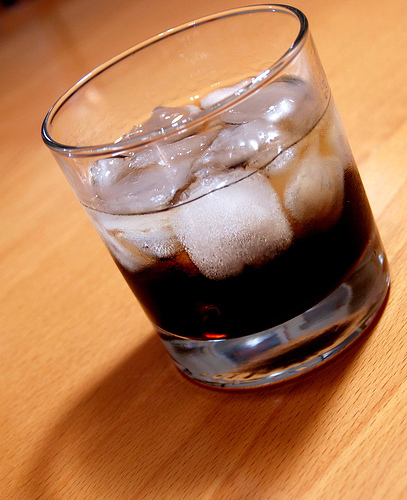 As coffee liqueur will degrade in sunlight, it is best to keep it on a cool, dark place. Or inside you, which is also dark, and we can only assume very cool, if you're reading this blog! *ADDENDUM: I just finished making 1/2 a recipe (750 ml). I used Italian Espresso which was VERY fine ground. I found that it retained some of the water that I needed to make my syrup. So either use a slightly coarser grind, or add more water at the brewing stage so you have the proper amount of strong brewed coffee to put with your sugar for syrup. The end result, by the way, tastes great! Found this older post - sounds good. I'm making some right now. One issue I have - I thought I'd make a double batch. I used 4 cups of water and 4 cups of fresh ground coffee. I ground it to French press grind (a little coarser than espresso). After filtering, I only have about 8 ounces of liquid to make a syrup with - this can't be right. How much liquid should you have when starting the syrup? I find the grind of the coffee changes the quantity you have in the end. French presses leave a lot of moisture in the beans. I used a saucepan. I strained mine through tripled cheesecloth too, using my hands. You can add water to make enough infused liquid. The important part is that it's strong. Hope this helps.